Located in the high plateau of northeastern Algeria, the important site of Ain Hanech documents the spread of hominids to northern Africa by at least 1.7 to 1.8 million years ago and represents the earliest known archaeological evidence in this part of Africa. 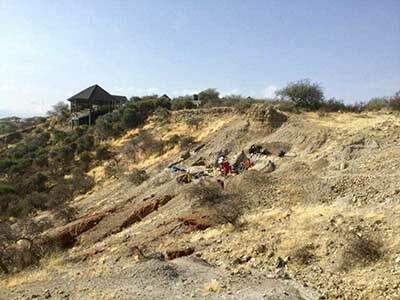 Beginning in 1992 excavations by Stone Age Institute researcher, Dr. Mohamed Sahnouni, have produced a large number of Oldowan artifacts and well-preserved animal fossils sealed in fine-grained silts, providing an excellent record of early hominid occupation of this part of the African continent. 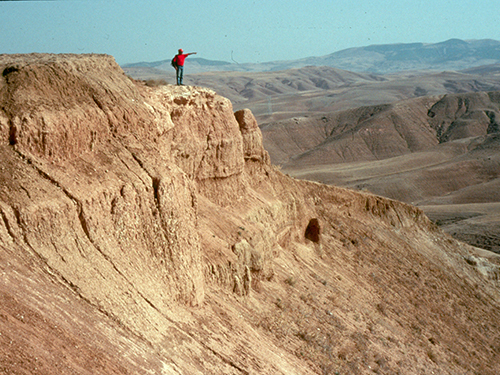 Research and excavations here are ongoing, with investigations at the classic site of Ain Hanech and at an earlier well-preserved Pliocene paleontological horizon in the study area, Ain Boucherit, dating to about 2.2 million years ago. These sites provide invaluable documentation of the spread of hominids out of eastern Africa soon after the advent of stone tool-making, at a time when we see the first evidence of hominid dispersal into North Africa and Asia. 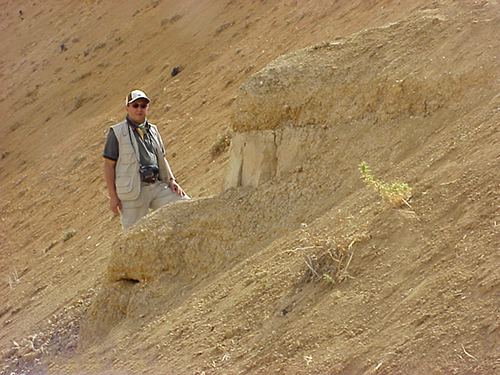 Researcher Mohamed Sahnouni at Ain Hanech, Algeria.